Cackle Hatchery® offers for sale a baby chick package of assorted pheasants or some call it an ornamental pheasant deal. 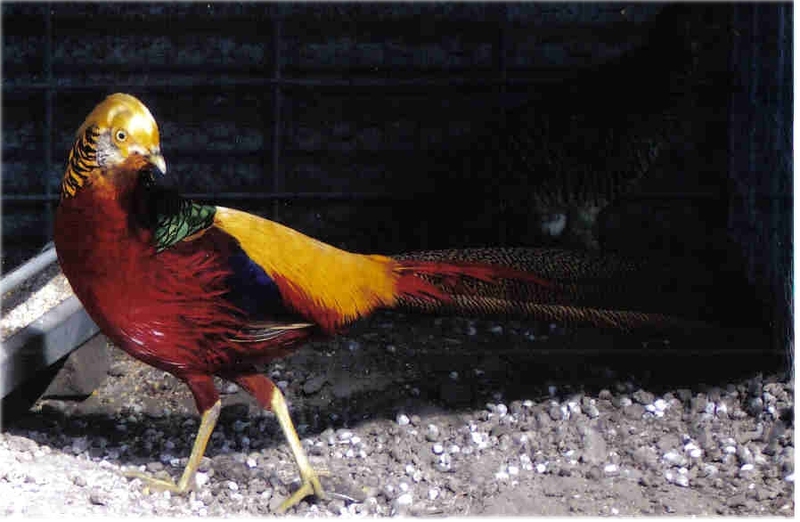 This can include 5 different color patterns of the Golden Pheasant and can include the Lady Amherst pheasant. Our hatching dates are May-August which can be preordered well in advance and this order must be done as a separate order from any other order from Cackle Hatchery®. They have their own separate hatch date and time and cannot be combined with other chicks. We try to give you the best assortment of yellow golden pheasant, red golden pheasant, dark-throated golden pheasant, splash golden pheasant, cinnamon golden pheasant and Lady Amherst pheasants as we can on hatch day. Pheasants will be shipped Express Mail with no additional cost to customer and any loss must be reported to your Post Office. We do not offer any guarantee or replacements or refunds on shipments of the Ornamental/Rare Pheasants chick package.